So as we are almost half-way through season 6 of Walking Dead, we have seen one major attack on the group’s home from a murderous gang. This has brought many people to look back to the comics to see who this could be, and the character Negan and his crew seemed like likely culprits. 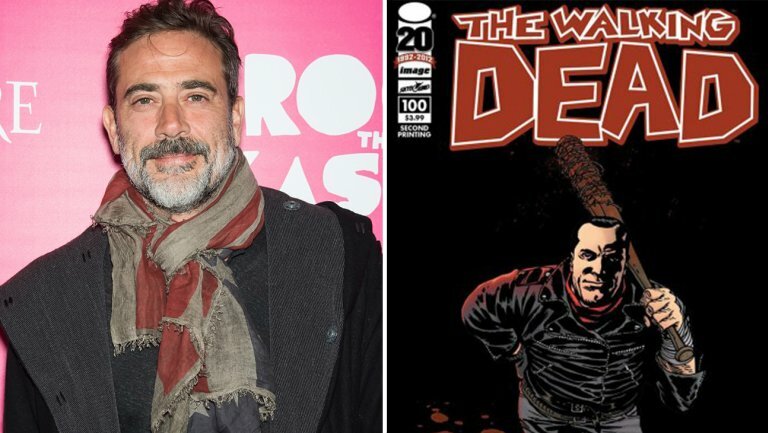 It is with this in mind that many of us were not surprised when it was announced that Negan is going to show up in the Season Finale of Walking Dead, played by actor Jeffrey Dean Morgan. Comic book fans will recognize Morgan as The Comedian from the Watchmen film adaptation from Zach Snyder. In the final episode we will see Negan lead The Survivors to Alexandria, which will be directed by Greg Nicoreto. What this indicates more than anything is what may be happening in season 7, where the year-long Walking Dead event “All Out War” may serve as the foundation for the second part of that season. The rest of season 6 will likely be just about stabilizing Alexandria before Negan leads his violent bands in, but it is always unexpected what comes from this television adaptation. We are about to head into the mid-season break and finish Fear the Walking Dead, so it is hard to say for certain what comes next.